Is Snow Removal an HOA Responsibility? Home > Community > Is Snow Removal an HOA Responsibility? 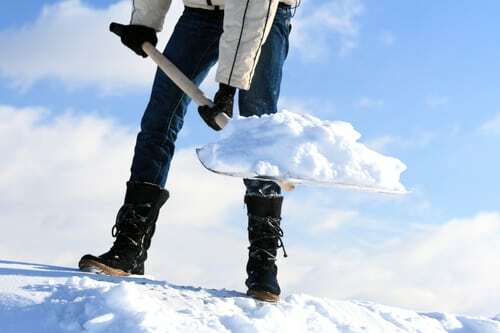 Unfortunately, HOA snow removal is a part of life for many. When temperatures plummet and the snow starts to fall, questions often arise regarding snow and ice removal. To better understand your rights and responsibilities, your Homeowner’s Association should provide you with a memo, newsletter or other communication regarding your HOA snow removal policy. If you haven’t received this information this year, it is important for you to contact your HOA and ask for it in written form so you can review it in detail. What Areas Are Plowed or Shoveled? Be sure that you know which areas the association plows, what areas are not plowed by the association, and how often they do so. Generally, streets and parking lots will be taken care of by your HOA. You also need to know whether walkways will be shoveled by the association’s contractor or by individual homeowners, and when and if any areas will or need to be salted. How Much Snow Needs to Fall? Your association’s snow removal contract should state how much snow needs to fall before roads and parking lots will be plowed or sidewalks cleared. This will also let you know when you need to provide your individual snow or ice clearing duties. This generally starts at around 2 inches of snow. You need to be aware that lesser snows will not be taken care of and plan accordingly. In most cases, it is the responsibility of the homeowner to clear their own driveway or parking space, as well as the sidewalk and the road gutter in front of their home. Depending on your association, more or less guidelines may be provided, including information on your responsibility regarding snow dumping and salting in icy conditions. Finally, your HOA will probably remind you that, despite the HOA’s best efforts to keep the area reasonably free of snow and ice, they do not guarantee protection against snow and ice hazards. You should always proceed cautiously when dangerous road and street conditions are present. Visit the NCDOT website for updated road conditions and news. What Is your HOA Snow Removal Policy? Originally a division formed in 1987 of Steven D Bell and Company , Slatter Management was founded in May 2002 by President and owner, Terry Slatter. The Company is proud of the wealth of knowledge it's community management staff provide our developers, boards of directors, homeowners and vendors in Greensboro, Winston-Salem, High Point, Asheboro, Clemmons, Gibsonville, and more. © Copyright 2019 Slatter Management, Inc.